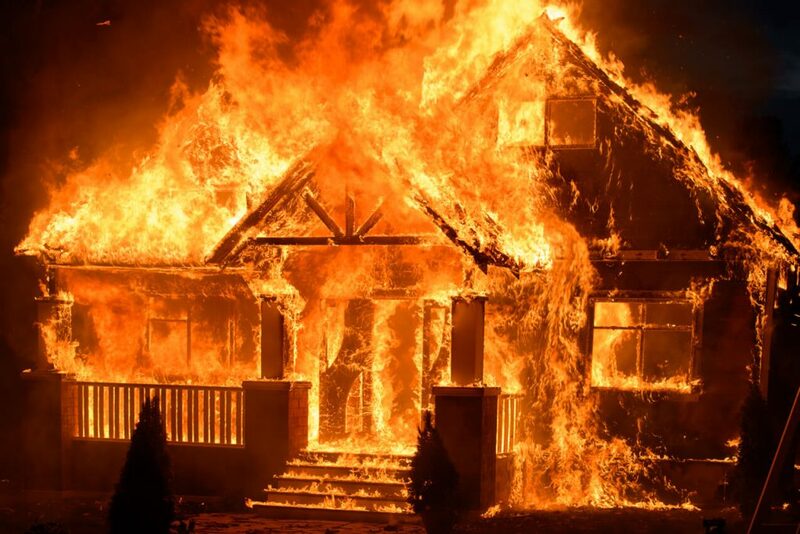 Do I Need a Lawsuit Against a Utility or Company for Fire Damage? When conditions are dry in California, wildfires burn. But the recent fires in northern and southern California may have a more particular cause. California utility companies are responsible for making their powerlines and other equipment safe, even during periods of high wind and drought. Other businesses also have a duty to keep their operations from causing an unreasonable risk to neighboring homeowners and property owners. Mulligan, Banham & Findley are investigating claims about the recent California fires. Call the number on this page, or use our Contact Form, to tell us about your experience. Though it is early, reports have already begun to surface indicating some California utility companies, and other businesses, may be responsible for some of these fires raging in California. History has shown that aging equipment, failure to perform proper inspections, failure to respond quickly or adequately enough to a fire risk, and attitudes towards safety that put profits over people, can start fires and cause massive destruction to property and life. If your home, property or those you love were involved in the Camp Fire, Woolsey Fire, Nurse Fire, Hill Fire, Peak Fire, Holy Fire, Fork Fire, or other fire burning in California, you should discuss your rights with an attorney. Mulligan, Banham & Findley have been helping people push back against large corporations, government entities and insurance companies in California for over 30 years. Call the number below or use our Contact Form today before important deadlines pass. There is no charge for the call. Will My Insurance Company Pay For My Fire Loss? Unfortunately, it has been a record time for fires all over California. We all worry about the safety of our families, followed by fear over safety of our homes and businesses. When we pay for insurance, we shouldn’t have to also worry about being paid for our losses…or do we? We help people all over California. If you or your loved ones have been denied lawful payment for your loss by your insurance company, please call us. Insurance companies have a duty to us, their insured policyholders, to act in good faith when responding to claims for settlement to cover our fire losses. What Do I Do If I Suffer A Fire Loss? IF YOUR LOSS IS FROM A FIRE IN AN AREA WHERE THE GOVERNMENT HAS CALLED A STATE OF EMERGENCY, you are entitled to an advance on living expenses for covered losses, to get you settled immediately after the loss– even before you submit receipts and document expenses. Ask your insurer for a list of what living expenses will be covered, and be sure to keep receipts for them. A full copy of your insurance policy, including all riders, updates, exclusions and the declarations page. Any information they will require you to file to submit a claim. Send your insurance company a written claim with proof of losses as soon as possible (and keep a copy of it all!) Important: Your insurer must tell you all deadlines that apply to your claim. [iii] If you miss the deadlines, you may lose all rights against the insurance company to be paid. Keep a log of all communications with the insurance company (including the date and time of the communication, whom you spoke to and what was said). Confirm it in an email. If you are unsatisfied with the handling of your claim, the amount offered for your losses by the insurer, or if the claim is denied, speak with an experienced attorney immediately. If you do not file suit within one year, you may lose all rights for compensation. What Does The Law Require Of My Insurance Company Once I File A Claim? When investigating the claim, your insurer has a duty to diligently search for and consider all evidence that supports coverage of your loss. If your insurance company does not do this, call an experienced California lawyer immediately because you may have a claim for the implied covenant of good faith and fair dealing based on the insurer’s failure or refusal to conduct a proper investigation of your claim. How Much Do I Need To Cooperate With My Insurance Company’s Investigation? You must cooperate with the insurer’s investigation of your claim, but you do not have any duty to cooperate with harassing adjusters or unreasonable requests. If you feel wrongfully pressured, request the adjuster to communicate in writing with all questions they have for you and then promptly respond in writing, or seek an attorney’s advice. How Much Time Does My Insurance Company Have To Investigate My Claim? In California, insurance companies are required to accept or deny your claim within 40 calendar days after receiving proof of your claim. If an insurer denies or rejects your claim for fire loss, it must do so in writing and shall provide you a statement listing all of the reasons for such rejection which is then within the insurer’s knowledge. If your insurer needs more time to consider your claim, it must give you written notice of the need for additional time, including any additional information the insurer requires in order to make a decision and any reasons for the insurer’s inability to make a determination and provide you with an estimate as to when the determination can be made. If your claim is accepted, payment must be made within 30 days from the date settlement was reached. In California, insurance companies have a duty to properly investigate your claim for compensation for loss due to fire. If your insurance company acts unreasonably in the investigation of your claim, you may be able to recover money for losses caused by the delay in paying you fully for your losses. If your claim is denied or insufficient payment is offered, do not delay in hiring an experienced California lawyer. A lawsuit must be filed within one year of the denial of the payment or you will lose all rights to payment from the insurer. What Does It Take To Win A Lawsuit Against My Insurance Company? If I Hire A Lawyer, What Can I Hope To Recover In My Claim Against The Insurer For Bad Faith Denial Of My Claim? Full value of your covered losses. Out of pocket expenses reasonably incurred because of the insurer’s unreasonable delay/denial of benefits. Damages for anxiety and emotional distress caused by your insurer’s unreasonable delay or denial of benefits. If you have been denied coverage for your fire loss by your insurer, call an attorney immediately. MULLIGAN, BANHAM & FINDLEY have successfully battled large corporations and insurance companies seeking to deny just compensation for losses. Call us or use the Contact Form on this page today.